About Hotel: The elegant dining room offers a mesmerising view of the surrounding forests and hills. A wide range of Indian and Continental cuisine is nicely served in the hotel. The bar reflects an old world aura with all your favourite drinks on hold. Description: The elegant dining room offers a mesmerising view of the surrounding forests and hills. A wide range of Indian and Continental cuisine is nicely served in the hotel. The bar reflects an old world aura with all your favourite drinks on hold. 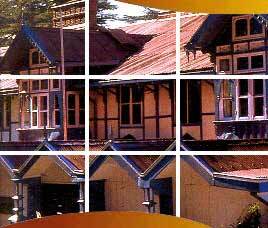 The hotel Clarke's is located well in The Mall, in Shimla. The hotel is 21 kms. from Airport, 1/2 km. from Railway Station and 1/2 km. from Bus Stand.